Decide if there is a small group that can help you organize the drive. Decide if you will raise food, money or both. Decide what type of drive you want to stage, such as a party or a competition. THEN, SET A GOAL! Agree on the drive’s length. Will it be for 1 day? One week? 2-3 weeks? Send out memos, phone messages, newsletters and e-mails to promote the drive. Plan special theme days such as Meal Monday, Tuna Tuesday, etc. Sponsor competitions between teams, classes or departments or plan a special event to encourage giving. Consider arranging a Hunger Awareness Day at the start of or during your drive. Request a speaker from STEP. Acquire and decorate boxes for food collection. Place the boxes in convenient and visible areas. Arrange to store them during the drive. Update participants on the amount of food and funds you’ve collected through a sign in a high traffic area, announcements in meetings and newsletters, or e-mail. Send out creative messages to keep people excited about reaching the goals. 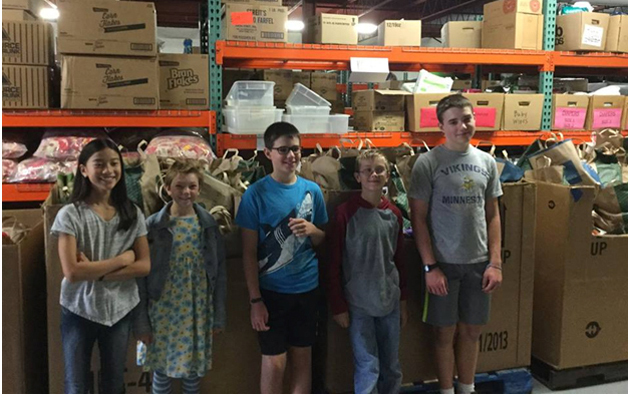 Coordinate volunteers to pack food properly at the end of the drive. Load and transport it to STEP. Deliver your food and/or funds to STEP during office hours. 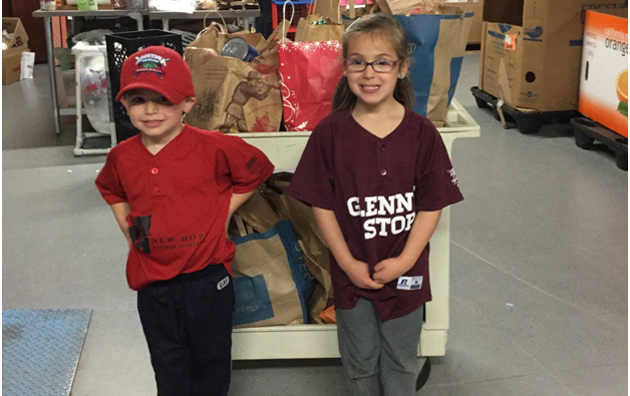 Include the Food and Fund Drive Report Form with your contact information. Share drive results with all participants. Send thank-you letters. Throw a party. Make awards to celebrate efforts. Have departments, classrooms, or teams compete against each other to see who can collect the most. Friendly competition adds energy to a drive and helps people remember to donate. Assign specific foods from the “Most-Wanted Foods” list to each team. 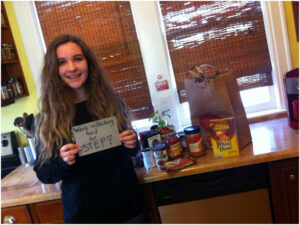 Or give a prize to the group that donates a well-balanced collection of foods. Encourage teams to choose a mascot, motto, team name or cheers. The sillier, the better! 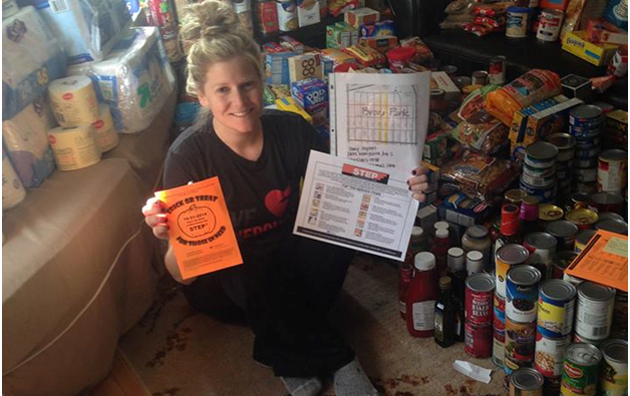 Make colorful posters noting the specifics of your food drive. Include STEP’s “Most-Wanted Foods” list and facts and figures about hunger. Display posters or reminders in restrooms, hallways, lunchrooms, classrooms or hang on doorknobs. Create a giant thermometer or can to measure progress toward your goal. Place the thermometer or can in the front lobby, employee break room, or other area where it will be seen. Identify your drive with a name such as “Gifts from the Heart,” “Feed the Need”, etc. Decorate bags for participants to take home, fill with food and return. Design a paycheck stuffer with information about the drive. Designate theme days. Fill a playpen with infant formula on Monday. Plant a “garden” in the lobby with canned vegetables on Tuesday, etc. Via your e-mail system or public address system, distribute a hunger fact for each day of the drive. Quiz people at random and hand out little prizes to people who remember the facts. Kick off your drive with opening day festivities. Be wacky, informational or inspirational. How about a silent auction? Nothing drives up cash donations like the enticement of a massage, dinner for two to a local restaurant, or home made items. Bake sales, pie-throwing contests and car washes are tried and true food-and fund-raisers. Trick or Treat for Those in Need Bronx Park Neighborhood collected 1,098 pounds of food. Collected food for their birthdays. Beth El Synagogue for their “Drive Away Hunger” food drive for Yom Kippur. They were able to collect 8,352 pounds/dollars for STEP. 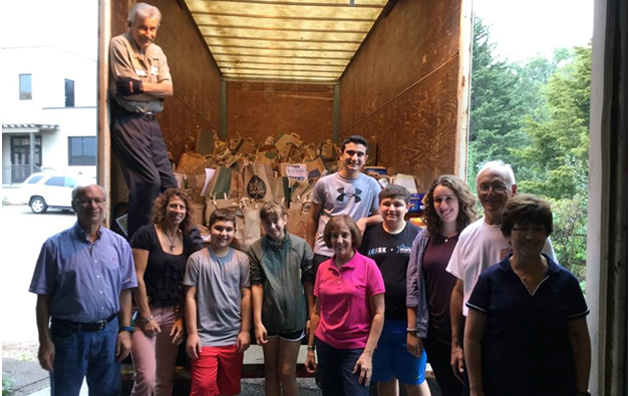 Adath Jeshurun Congregation collected over 4,240 pounds of food for their Yom Kippur “Help Feed the Hungry” food drive. 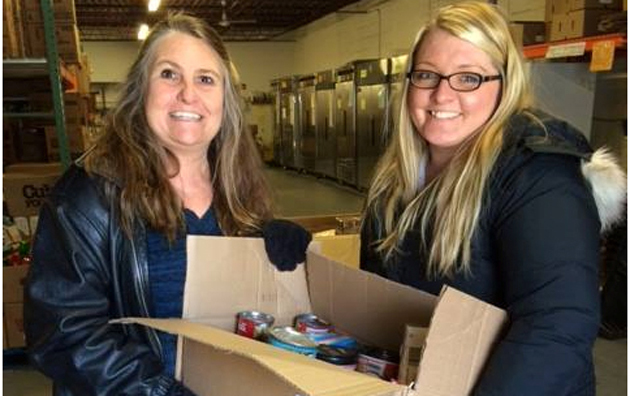 Spectranetics donated 546 pounds of food. 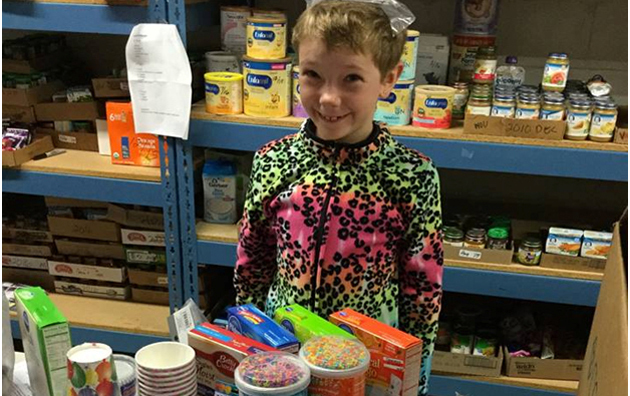 Frankie for collecting 154 lbs of food for STEP for your 8th birthday instead of presents! 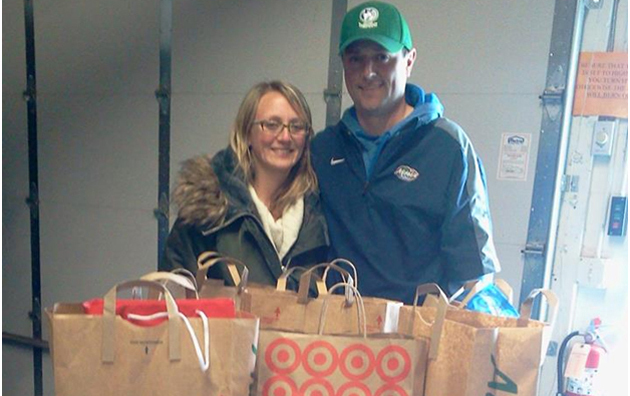 Thank you Blair and Mike for delivering 188 pounds of food and money from the Kilmer Ice Golf Opener. 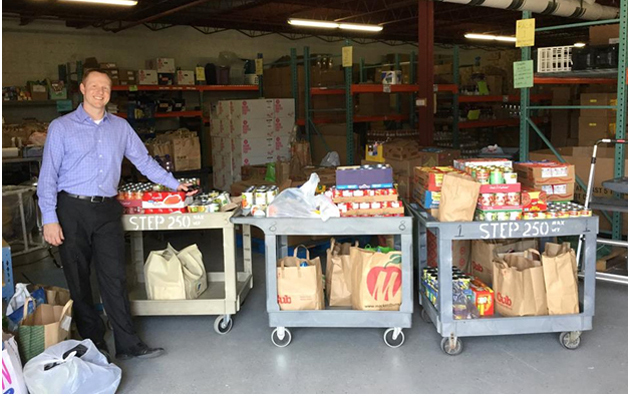 Cartus collected 200 pounds of food for STEP. 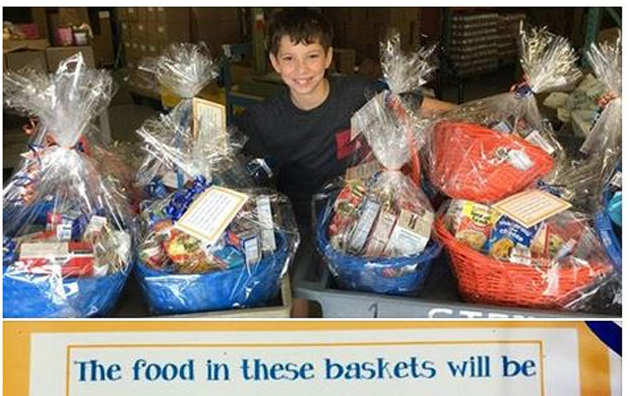 Tyler used baskets of non-perishable food to decorate for his Bar Mitzvah this year. After the party he donated the food and money he collected to STEP. 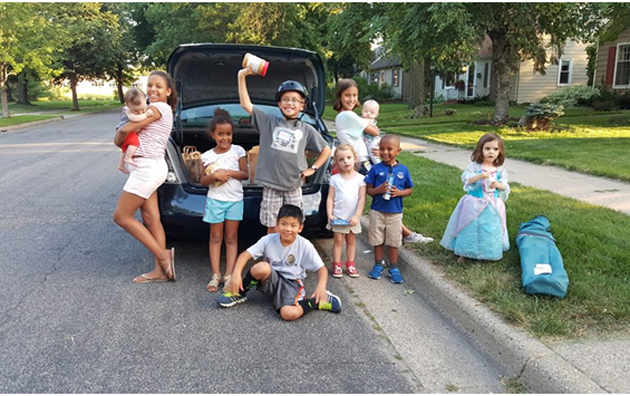 Sorenson Neighborhood and kids for collecting food to donate to STEP at your national night out! 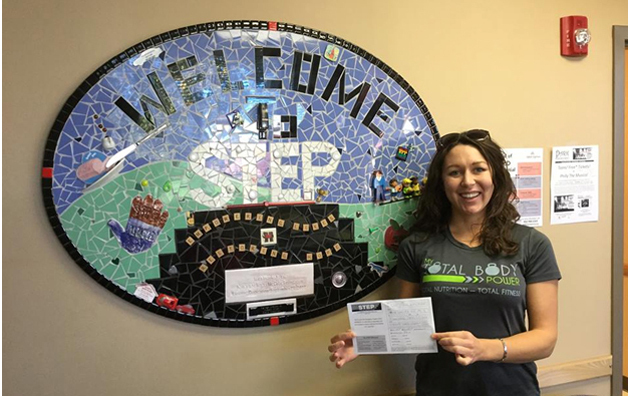 Total Body Power owner Megan and their wonderful staff and fitness clients collect 73 pounds of food and money for STEP. 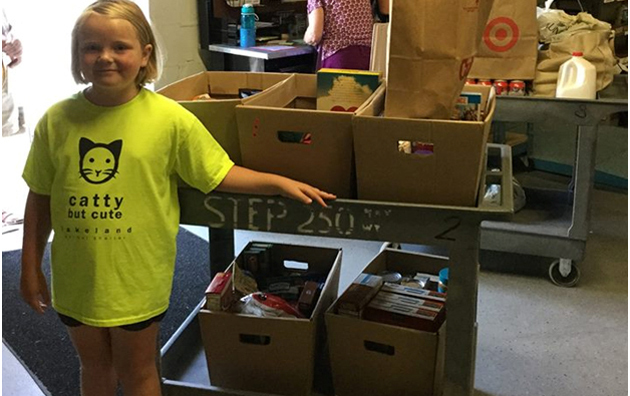 This young lady who collected 110 pounds of food for STEP for her 11th birthday! 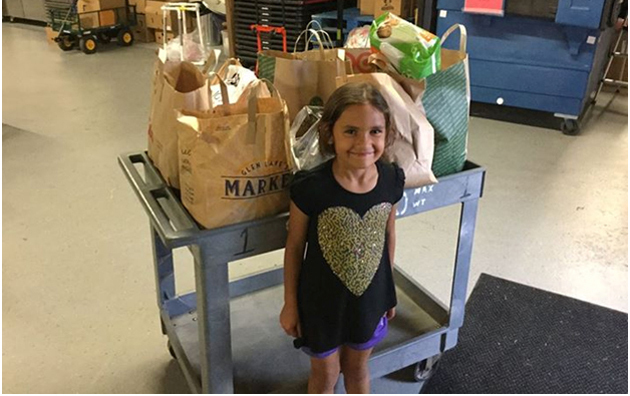 Julia collected 80 pounds of food for her 6th birthday this year! 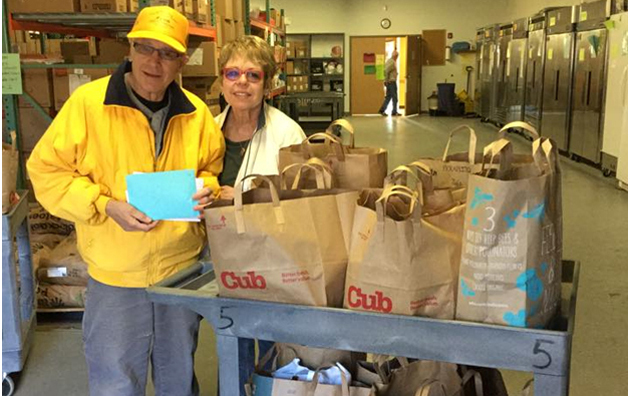 For his 75th Birthday, Frank asked friends and family to bring food or make a donation for STEP. What a successful Birthday!! Over 130 pounds of food and over $500!! April Showers!!! Host a fun and different drive for STEP by collecting baby supplies! 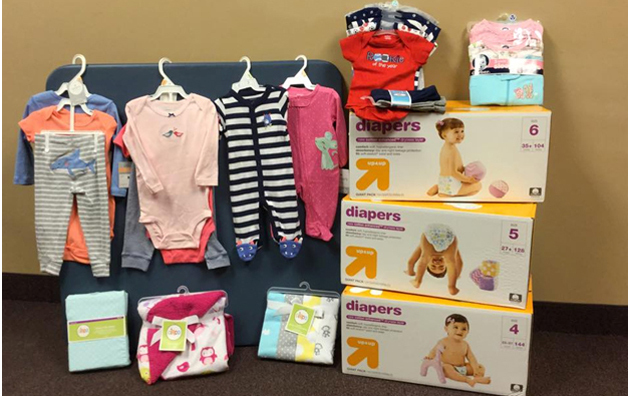 We need diapers (sizes 4,5 and 6), crib sheets, blankets, and clothing from newborn to 12 months ( most needed are sleepers, onesies, outfits and bodysuits). 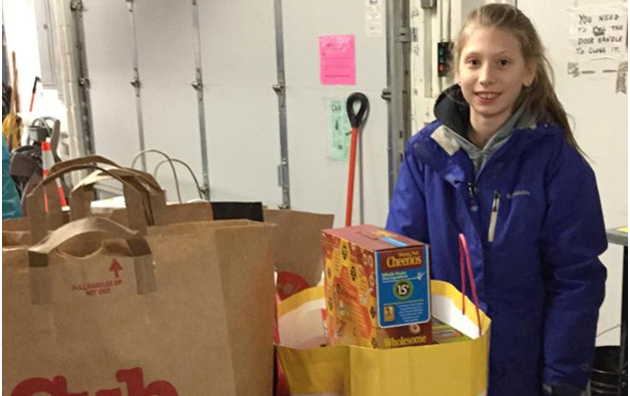 Instead of getting gifts for her 9th birthday, this friend of STEP brought in party supplies to make sure other kids could celebrate their birthdays!